The competition standard was very high. There wasn’t a bad story amongst them, and they were varied, with several in different styles pushing this one close. I liked many things about ‘Girls’. The language was completely believable, with dynamic metaphors drawn from the narrator’s crazed imagination and steeped in the Southern Gothic world from which she comes. ‘come back home stained with his child’; ‘but I’ve cut my lifeline real long, long and round my hand like a ribbon ‘cross a Christmas present.’; ‘she talked all sand’. So many others. Yet the elegance of the writing never detracted from the flow of the story just swept me into another, so different world. The construction was good too, a steady development to the fiery climax. The narrator’s voice was strong, clear, twisted, disturbing. Very well realized, and completely believable. I kept thinking that she might back away from her extremity, but she kept upping it. A lot to cram into a five page story. Yet it held me throughout, had a clear arc, and left a disturbing aftertaste. So well done. It will stay with me and I have no hesitation, despite other strong contenders, of awarding it this year’s Raven. Congratulations to Cheryl Wollner, who wins the $300 prize, and whose story will be published in Pulp Literature Issue 22, Spring 2018. Many thanks to CC Humphreys for his careful reading and for returning to judge this year’s Raven Contest. And as well, thank you to all the entrants who provided such excellent stories and made our job and Chris’s so much harder …. and yet so enjoyable! CC (Chris) Humphreys has written more than a dozen novel for adults and young adults, including the Arthur Ellis winner, Plague. His latest book, Chasing the Wind, is available here. Channel your inner raven and bring us your cleverest short stories! 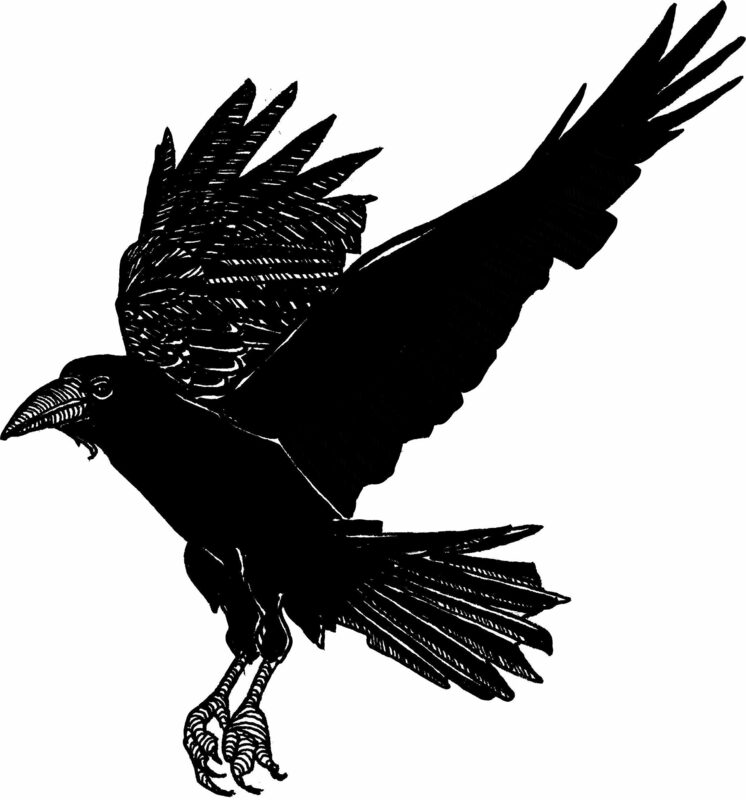 The Raven Short Story Contest is open until October 15th, and we want to see what inventive short stories you have hidden in your nests. CC Humphreys, prolific author of The Jack Absolute Series, Shakespeare’s Rebel, Plague, and Fire, along with the newly released Chasing the Wind, returns to judge the 2018 Raven Short Story Contest. Past winners include ‘The Tape’ by Elaine McDivitt (Issue 18), ‘The Handler’ by Pat Flewwelling (Issue 14), ‘Black Blizzard’ by Emily Linstrom (Issue 10), and ‘The Inner Light’ by Krista Wallace (Issue 6). First prize in the Raven Short Story Contest is $300 and print and e-publication to a loyal international readership. The 2018 winner will be announced November 15th! Previously unpublished short stories of up to 2500 words will be considered–enter before midnight, October 15th! Last week we promised a surprise you would not want to miss, and today’s the day. Of our shortlist, three poems caught Renée Sarojini Saklikar’s eye for the fifth annual Magpie Award for Poetry. Without further delay, here are her picks and comments. These poems will appear in Pulp Literature Issue 20, Autumn 2018. Congratulations to our winners, and a huge thank you to Renée Sarojini Saklikar for serving as this year’s judge. Thank you as well to all our contestants for your participation and suppourt! Can poetry matter? In an age where information is rarely parsed into verse and 120 character limits reign supreme, it’s a valid question at many a poet’s roundtable discussion. However, for Renée Sarojini Saklikar, the answer is simple: Yes. Listening to the Bees (Nightwood Editions, 2018) is a book of essays and bee poems in collaboration with Dr. Mark Winston. The recent and alarming decline of honey bee populations deserves attention, and Renée’s poetry has risen to the occasion. This joint artistic and scientific venture moves between the deeply personal connection humans have with bees and meticulously gathered facts for a written experience of what it means to listen to bees. The book launches this Thursday, May 10th, in Vancouver at the Western Front Art Gallery. Mark Winston will recount experiences from a forty-year career as a scientist studying bees, and Renée Saklikar will respond with innovative and elegant poems. Can’t make it tomorrow? Additional launches will be happening in Surrey on May 11th, and Victoria on May 25th. Renée Sarojini Saklikar is Poet Laureate for the City of Surrey, British Columbia. Trained as a lawyer and with a degree in English Literature, Renée is currently teaching creative writing for SFU and Vancouver Community College. Renée’s first book, children of air india, (Nightwood Editions, 2013) won the 2014 Canadian Authors Association Award for poetry and was a finalist for the Dorothy Livesay Poetry Prize. Renée’s poetry, essays, and short fiction has been published in many literary journals and anthologies. Her work has also been adapted into other art forms, including musical and visual installations. Pulp Literature Press thanks Renée for serving as the judge for 2017 and 2018 Magpie Award for Poetry. 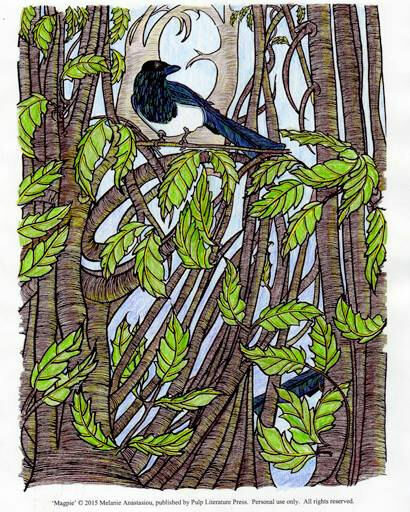 What’s that old magpie nursery rhyme? One for sorrow, two for joy … ten a surprise you won’t want to miss! 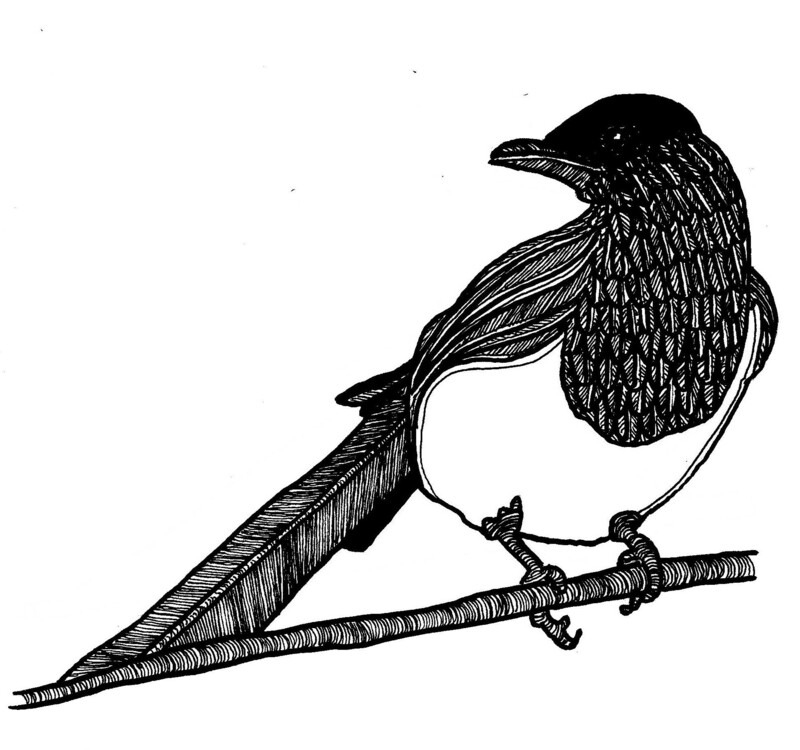 The Magpie shortlist has been selected by our poetry editorial team Daniel Cowper and Emily Osborne, and we tip our hats to these ten entries. Names appear in alphabetical order (by last name) and those with multiple entries under consideration are listed more than once. Thank you to all who submitted! Renée Sarojini Saklikar‘s picks will be revealed May 15th, so stay tuned for that surprise you won’t want to miss! Did you miss the deadline for the Bumblebee Flash Fiction Contest this year? Well, we love flash fiction so much, we have two contests! The Hummingbird Flash Fiction Contest opened May 1st and will close June 15th. Early bird entry fee ends May 15th!